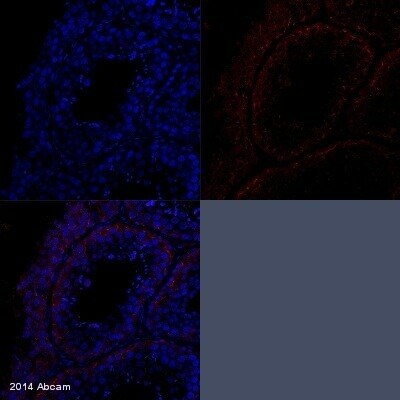 This antibody detects DNA methyltransferase 3a (Dnmt3a) from human and mouse tissues and cells as well as recombinant human Dnmt3a. 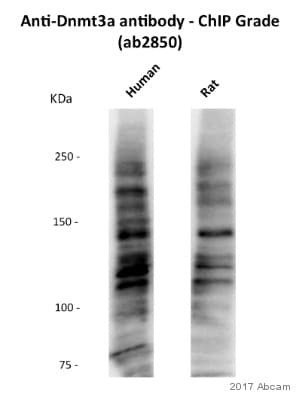 This antibody does not detect full length recombinant human Dnmt3b or Dnmt1. Synthetic peptide corresponding to Human Dnmt3a aa 86-100. Our Abpromise guarantee covers the use of ab2850 in the following tested applications. WB Use a concentration of 2 µg/ml. Detects a band of approximately 120 kDa (predicted molecular weight: 101.5 kDa).Can be blocked with Dnmt3a peptide (ab4921). Western blot analysis of DNMT3a in HeLa silenced cells. 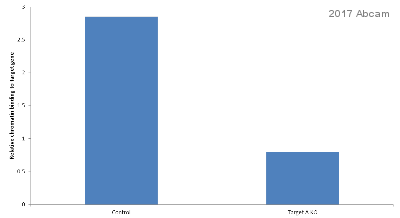 Total cell extracts were prepared 48 h after electroporation and analyzed by immunoblot with ab2850. 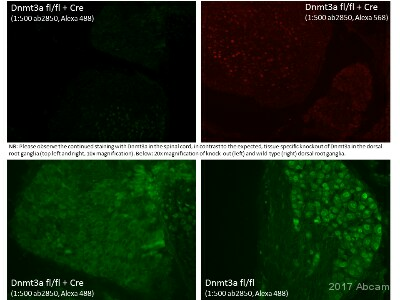 DNMT3a is recruited to the DSB early during repair and is necessary for generation of L cells. 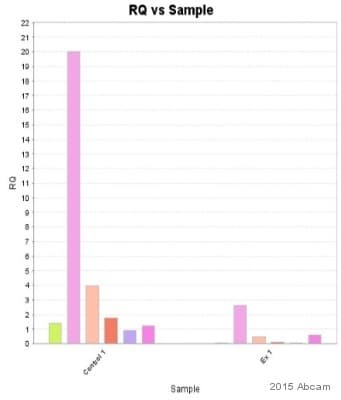 HeLa cells were transfected with I-SceI (a meganuclease) and 24 h, 48 h or 7 days later, were fixed, collected, chromatin-extracted and subjected to ChIP analysis with ab2820. 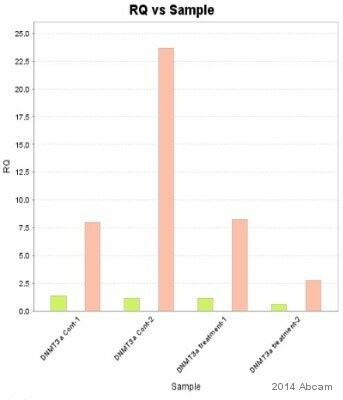 Figure 5B shows that DNMT3a is recruited to the I-SceI site 24 h after the onset of DSB formation and rapidly disappeared (48 h). Cells were fixed by adding formaldehyde directly in the culture medium to a final concentration of 1% for 10 min at RT and washed twice using ice cold PBS containing 1× protease inhibitor cocktail and 1 mM PMSF. Fixed cells were harvested and the pellet was resuspended in 200 µl of SDS Lysis Buffer. After 10 min incubation on ice, the lysates were sonicated. Sonicated samples were centrifuged and supernatants diluted 10-fold in the ChIP Dilution Buffer. An aliquot (1/50) of sheared chromatin was further treated with proteinase K, phenol/chloroform extracted and precipitated to determine DNA concentration and shearing efficiency (input DNA). Sheared chromatin was precleared,divided in two aliquots and incubated at 4°C for 16 h with 20 µl of protein-A/G agarose and 2 µg of ab2850 and nonimmune IgG. Agarose beads were washed and immunoprecipitated DNA was recovered and subjected to qPCR. 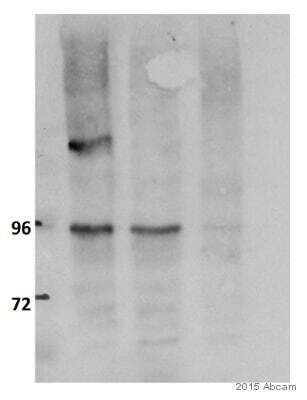 Western blot of Dnmt3a on P19 cell nuclear extract using ab2850. Publishing research using ab2850? Please let us know so that we can cite the reference in this datasheet.